Network Load Balancer operates at the connection level (Layer 4), routing connections to targets – EC2 instances, containers and IP addresses based on IP protocol data. Network Load Balancer is capable of handling millions of requests per second while maintaining ultra-low latencies. Network Load Balancer is optimized to handle sudden and volatile traffic patterns while using a single static IP address per Availability Zone. NLB is integrated with other AWS services such as Auto Scaling, EC2 Container Service (ECS), and CloudFormation. 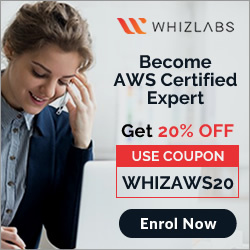 Allows load balancing of TCP traffic, routing connections to targets – EC2 instances, microservices and containers, and IP addresses. accepts incoming traffic from clients and distributes this traffic across the targets within the same Availability Zone. if a health check fails and an unhealthy target is detected, it stops routing traffic to that target and reroutes traffic to remaining healthy targets. is designed to handle traffic as it grows and can load balance millions of requests/sec. can also handle sudden volatile traffic patterns. offers extremely low latencies for latency-sensitive applications. automatically provides a static IP per Availability Zone (subnet) that can be used by applications as the front-end IP of the load balancer. an Elastic IP per Availability Zone (subnet) can also be assigned, optionally, thereby providing a fixed IP. supports both network and application target health checks. is based on the overall response of the underlying target (instance or a container) to normal traffic. if NLB is unresponsive, Route 53 will remove the unavailable load balancer IP address from service and direct traffic to an alternate Network Load Balancer in another region. is integrated with other AWS services such as Auto Scaling, EC2 Container Service (ECS), CloudFormation, CodeDeploy, and AWS Config. uses the same API as Application Load Balancer. enables you to work with target groups, health checks, and load balance across multiple ports on the same EC2 instance to support containerized applications. integrated with CloudWatch to report Network Load Balancer metrics. CloudWatch provides metrics such as Active Flow count, Healthy Host Count, New Flow Count, Processed bytes, and more. use the Flow Logs feature to record all requests sent to the load balancer. is designed for application architectures in a single zone. allows load balancing of any application hosted in AWS or on-premises using IP addresses of the application backends as targets. allows load balancing to an application backend hosted on any IP address and any interface on an instance. applications hosted in on-premises locations can be used as targets over a Direct Connect connection and EC2-Classic (using ClassicLink). Support for registering targets by IP address, including targets outside the VPC (on-premises) for the load balancer. Support for routing requests to multiple applications on a single EC2 instance. Single instance or IP address can be registered with the same target group using multiple ports. Support for containerized applications. Using Dynamic port mapping, ECS can select an unused port when scheduling a task and register the task with a target group using this port. ELB uses load balancers to monitor traffic and handle requests that come through the Internet. load balancer acts as a single point of contact for all incoming traffic to the instances in an Auto Scaling group. Auto Scaling integrates with Elastic Load Balancing and enables to attach one or more load balancers to an existing Auto Scaling group. ELB registers the EC2 instance using its IP address and routes requests to the primary IP address of the primary interface (eth0) of the instance. When ELB is detached, it enters the Removing state while deregistering the instances in the group. If connection draining is enabled, ELB waits for in-flight requests to complete before deregistering the instances. Auto Scaling adds instances to the ELB as they are launched, but this can be suspended. Instances launched during the suspension period are not added to load balancer, after resumption, and must be registered manually. 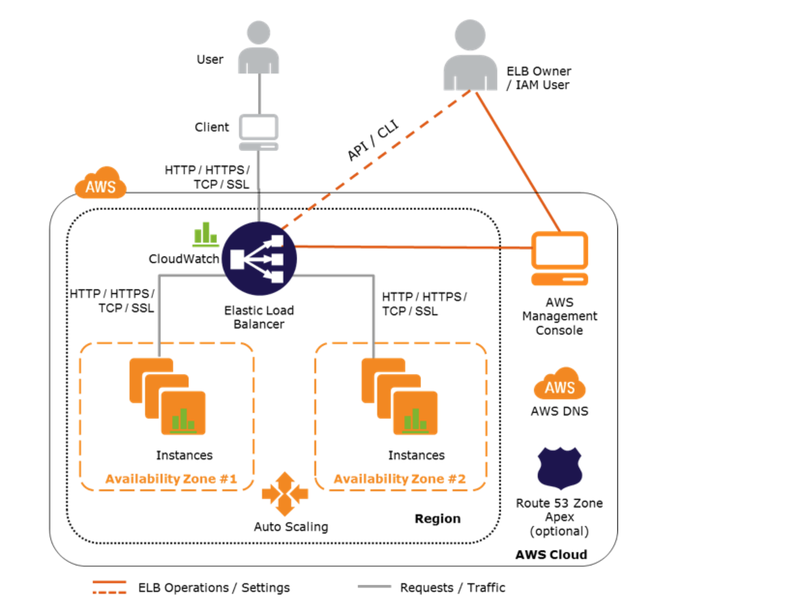 It is recommended to take advantage of the safety and reliability of geographic redundancy by using Auto Scaling & ELB by spanning Auto Scaling groups across multiple AZs within a region and then setting up ELB to distribute incoming traffic across those AZs. After a load balancer is registered with an Auto Scaling group, it can be configured to use the results of the ELB health check in addition to the EC2 instance status checks to determine the health of the EC2 instances in the Auto Scaling group. 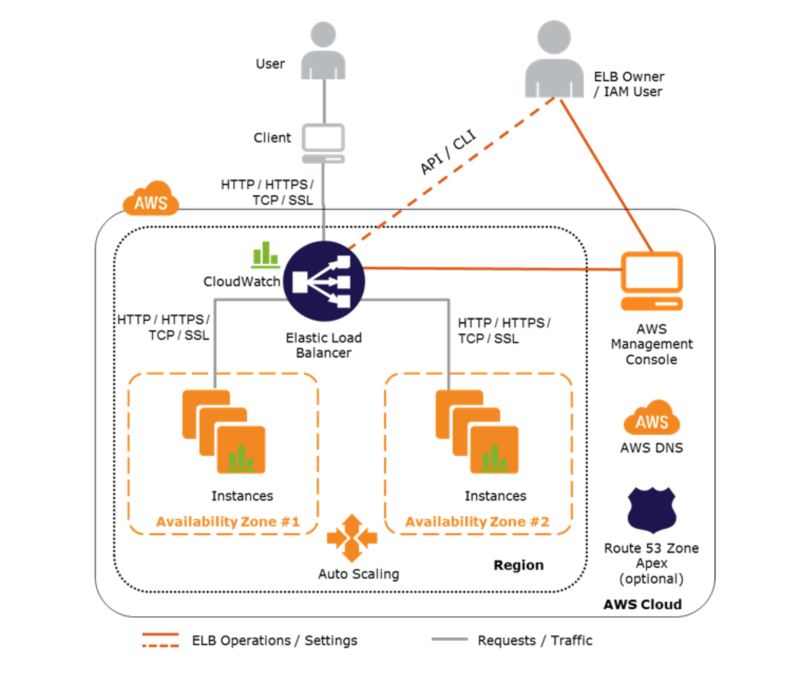 Elastic Load Balancing sends data about the load balancers and EC2 instances to Amazon CloudWatch. CloudWatch collects data about the performance of your resources and presents it as metrics. A company is building a two-tier web application to serve dynamic transaction-based content. The data tier is leveraging an Online Transactional Processing (OLTP) database. What services should you leverage to enable an elastic and scalable web tier? 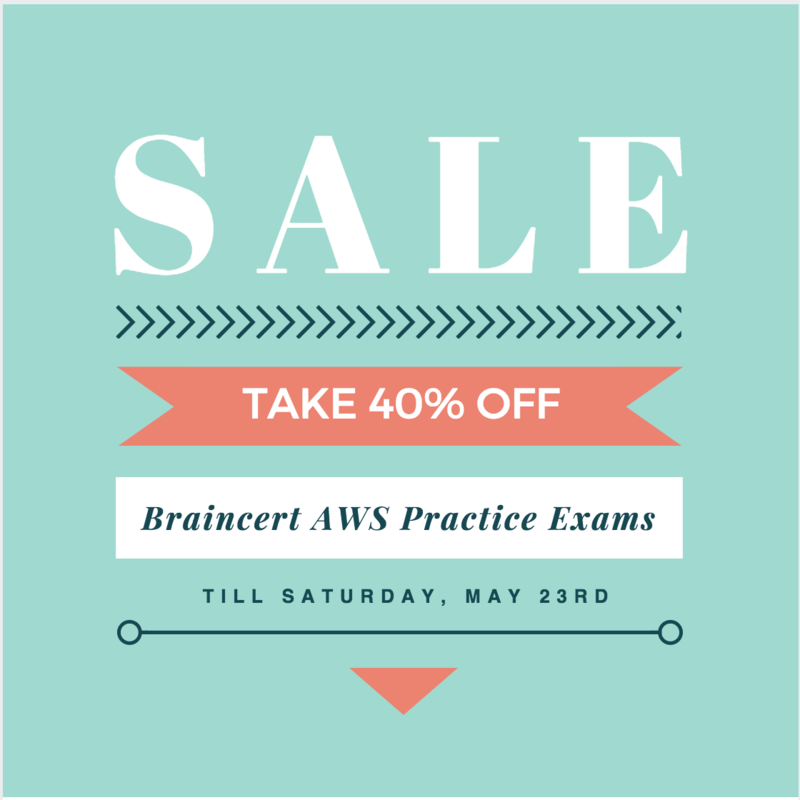 You have been given a scope to deploy some AWS infrastructure for a large organization. The requirements are that you will have a lot of EC2 instances but may need to add more when the average utilization of your Amazon EC2 fleet is high and conversely remove them when CPU utilization is low. Which AWS services would be best to use to accomplish this? A user has configured ELB with Auto Scaling. The user suspended the Auto Scaling AddToLoadBalancer, which adds instances to the load balancer. process for a while. What will happen to the instances launched during the suspension period? Add an Elastic Load Balancing health check to the Auto Scaling group. Set a short period for the health checks to operate as soon as possible in order to prevent premature registration of the instance to the load balancer. Enable EC2 instance CloudWatch alerts to change the launch configuration’s AMI to the previous one. Gradually terminate instances that are using the new AMI. Set the Elastic Load Balancing health check configuration to target a part of the application that fully tests application health and returns an error if the tests fail. Create a new launch configuration that refers to the new AMI, and associate it with the group. Double the size of the group, wait for the new instances to become healthy, and reduce back to the original size. If new instances do not become healthy, associate the previous launch configuration. 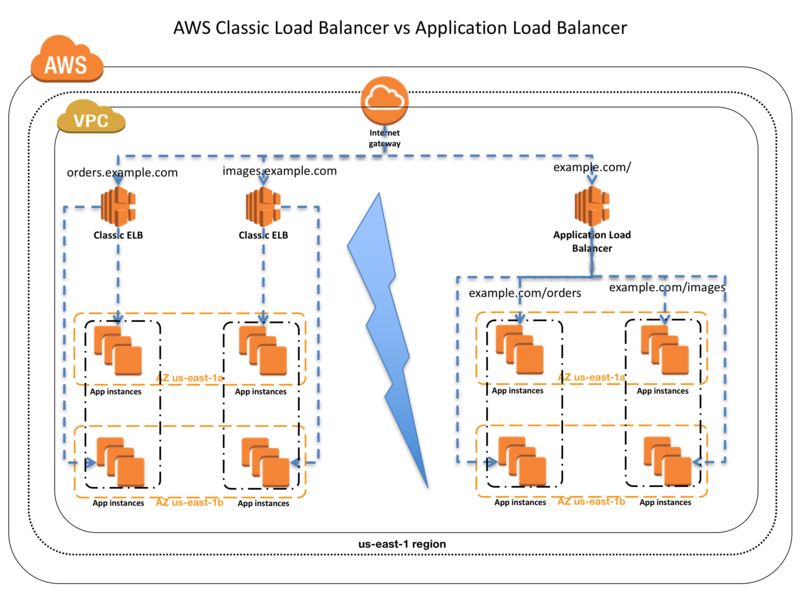 Increase the Elastic Load Balancing Unhealthy Threshold to a higher value to prevent an unhealthy instance from going into service behind the load balancer. A user has hosted an application on EC2 instances. The EC2 instances are configured with ELB and Auto Scaling. The application server session time out is 2 hours. The user wants to configure connection draining to ensure that all in-flight requests are supported by ELB even though the instance is being deregistered. What time out period should the user specify for connection draining?